As a home building company, you know firsthand just how important having a strong online presence is to your business. You want to do everything possible to attract more site visitors, tap into your local market, and grow your blog following. Ultimately, you'd love to make it to the first page of Google's search engine results. But your current home builder SEO strategy just isn't doing much to help you make that happen. You know your digital marketing strategy needs serious improvement, but you're not sure how you should go about it. That's what this post is all about. From optimizing your site speed, to embracing voice search and video content — we'll tell you how to best optimize your home builder SEO strategy. Now that Google has shifted focus to a mobile-first index, you need to make sure that your home builder SEO strategy has been adjusted accordingly. The change was made because more people now access the Internet on their mobile devices (smartphones, tablets, etc.) than on old-school desktop computers. Essentially, this means that Google takes how quickly your site loads on a mobile device and how well it's been optimized for mobile into consideration before anything else. So, if you want to increase your home builder SEO, you need to think about how your site looks and loads from a mobile perspective. How can you make it happen? First of all, check to see if your content is easily accessible and navigable for those using a touchscreen. Increase the size of your buttons. Put a space between your sentences/paragraphs. Make menu options easily clickable. Consider switching up the content of your homepage to an endless scrolling option for your mobile site. This way, users can read more without having to click on smaller buttons. Additionally, make sure your mobile site has a call button. Mobile visitors can click on this button to directly make a call to your business from the website itself. Finally, get rid of autoplay video features and pop-up ads that redirect users to another website. This seriously slows your loading time. Plus, it's so irritating to users that they'll likely just close out your mobile site without giving it a second look. Those mobile visitors we just finished stressing the importance of? Over half of them will navigate away from your website if it takes more than three seconds to completely load. If you're not paying attention to your site speed, you could end up losing over half of your leads. So, what can you do to make things go faster? First of all, optimize your image sizes by making them smaller. Enable cookies, browser caching, and compression files. This way, when someone returns to your website, it will load even faster for them the next time. If you're still not seeing the improvement in site speed that you want, consider working with a content delivery network. This will locate servers that are closest to the place the visitor is accessing the Internet from, and deliver faster content through that server. Finally, narrow down the number of plugins you're using on your website. This can save you seconds — which make a big difference — in your loading time. Evaluate which plugins you can't do without, and which ones are doing nothing but slowing you down. Instead of just thinking about general home builder SEO strategies, you also need to think about the ways you plan to connect with your local market. One of the best ways to do that is by including keywords on both your static webpage content and your blogs that contain references to where your business is located. Including your service area in your long tail keywords also means that you're much more likely to pop up in the search results of mobile users, who may be searching for businesses they're ready to shop at while already on the go. Reference your city, province/state, country, region, district, and even your neighbourhood in your keywords. Another huge trend that will seriously impact the way you optimize your content for home builder SEO is voice search. Thanks to Siri and Alexa, over 50% of mobile searches will be conducted through voice search by 2020. But how can you make sure to adjust your content accordingly? You need to stop thinking about the way people type, and move towards creating keywords that mimic the way people actually speak. No one says, "best home builders Edmonton." But they might ask Alexa something like, "What are the best-reviewed home building companies in Edmonton?" 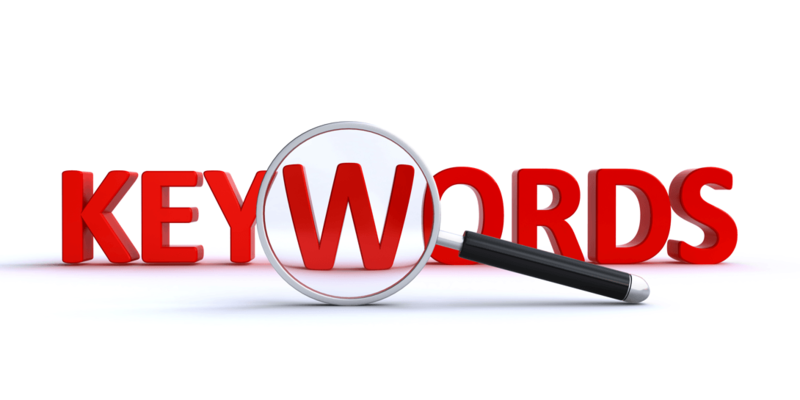 When you're coming up with your keyword strategy, lengthen the keyword phrase. Also, be sure that you answer questions, like "who, what, where, when, and why?" The goal is voice search is to be read out loud by these voice search devices, which seriously boosts your ranking. Create content that answers some of your most frequently asked questions to make it happen. Video content certainly isn't going anywhere anytime soon. With YouTube now the second most popular search engine in the world, creating video content is more important than ever. It's also crucial that you properly optimize those videos to increase the effectiveness of your home builder SEO strategy. First of all, include relevant tags in your video, and make sure you get as specific as you can when you're categorizing your video. Also, be sure to include keywords in not only the title of your video, but also the description. Include a keyword in the first 150 characters, and be sure that you put the most important information before the cutoff. Finally, get active in the comments sections of your own videos. This is an easy way to give your home builder SEO a serious boost. Make sure you get active in the comments sections of not only social media accounts that are similar to your own, but also blog posts. Blog posts and article comments sections that allow you to create your own profile are especially valuable. This is because you can include a link back to your own website/blog in your comment signature. Since you're already writing in a space where you know readers are interested in what you have to say, there's a much greater chance that the people reading your content will check out your website. Don't copy and paste the same comment and expect to get results. 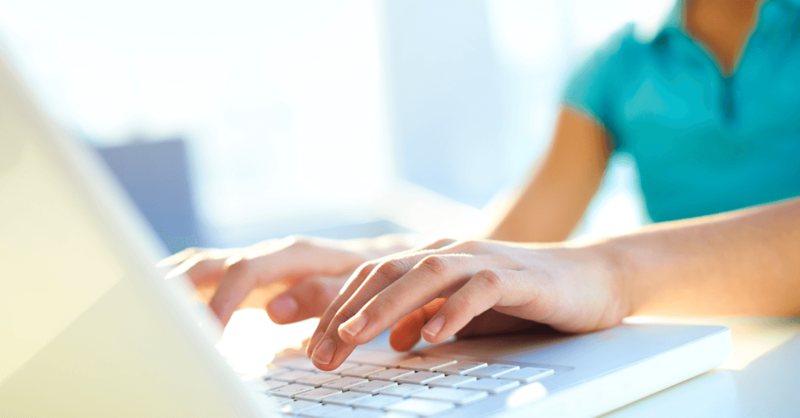 Keep comments concise, civil, and directly relevant to the specific content at hand. In addition to commenting on other industry blogs, why not level up your home builder SEO strategy by writing some guest posts on those blogs yourself? In addition to growing your blog and social media followings, you'll also be telling readers that you're one of the biggest names in your industry. Plus, when you write for high-traffic sites, that post is much more likely to be linked back to by other blogs and websites in your industry. This helps to increase your online clout, meaning that you'll rise in the search engine ranking results. Nearly all consumers say that they read online reviews about a product or business before they decide to make a purchase. So, if your business doesn't have those online reviews — especially if you're trying to target your local market — you shouldn't expect to rise in the rankings when it comes to your home builder SEO. First of all, claim your Google My Business page, as well as your company's listing on any third party review sites like Yelp. Fill out these pages completely, as they're meant to give a sort of "brief overview" to those who want to learn more about what you do. Include your address, operating hours, accepted payment methods, and even photos of your physical storefront and merchandise. Remember that there's no shame in incentivizing reviews. In exchange for a review, you can offer buyers an incentive on a purchase of a quick possession home, or enter them in a draw to win free upgrades. Once the reviews start coming in, don't just walk away. Even if what's being said about your business online isn't as glowing as you had expected, you still need to make it a point to respond to both the good and the bad. At the end of the day, even unhappy customers are still offering you valuable insight into how to make your business better. Follow up publicly and privately with unsatisfied reviewers. This shows not just the individual reviewer, but also everyone who reads your page, that you take the opinions of your clients seriously. Creating the right linking strategy is also an essential part of your home builder SEO. This is true for both internal and external links. Above all, the most important thing to keep in mind when it comes to your linking strategy is that links need to be relevant to the content at hand. Google can tell when you're linking for the sake of linking, and you'll end up getting penalized as a result. It's always a smart idea to link out to authoritative journals in your industry, especially relating to recent news or data points. When it comes to internal links, use the specific page or blog post referencing the items you're writing about. Always aim to include a link to your contact page in your content, as well. Of course, few of the entries on this list of the top home builder SEO tips and tricks will be helpful unless you have a blog that lets you put them into effect! Brands that have a blog enjoy 434% more indexed pages than those who do not. 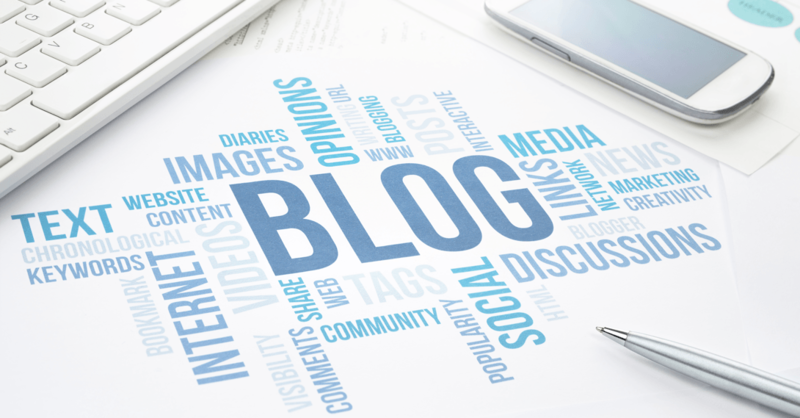 Blog posts allow you to optimize your home builder SEO through the inclusion of image files, keywords, and internal and external linking. You'll also get the benefit of creating shareable content that you can upload to your social media accounts. Plus, you'll be able to prove your expertise to your target market in the process, increasing consumer trust in your brand. If you suspect that you might not be able to keep up with a heavy posting schedule, create a content calendar. Brainstorm a list of topics once a month with your team, and divide up the work among your staff. You could also set aside a weekend to write all the blog content for the coming month, and then use a post scheduling app to space them out. Of course, if you don't have the gift of the pen, you may want to hire a team of professional content creators to do the writing for you. How Else Can You Improve Your Home Builder SEO? 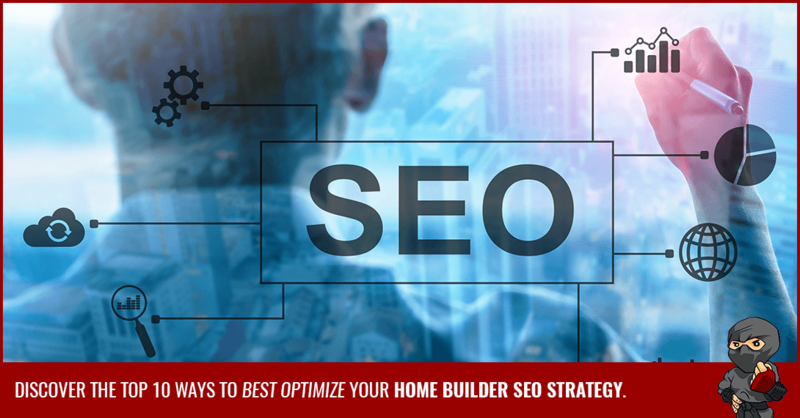 From understanding mobile-friendliness to starting a blog to build your brand recognition and industry authority, we hope that this post has helped you to better understand how to optimize your home builder SEO strategy for today's world. Of course, these tips are only the beginning. Whether you're interested in learning about website design, email marketing campaigns, or how to grow your following on social media, we have all the home builder SEO hacks you need. Marketing Ninjas specializes in home builder marketing that generates leads, acquires customers and gives you an unfair competitive advantage — contact us today! Lenka is the main support system of the team. 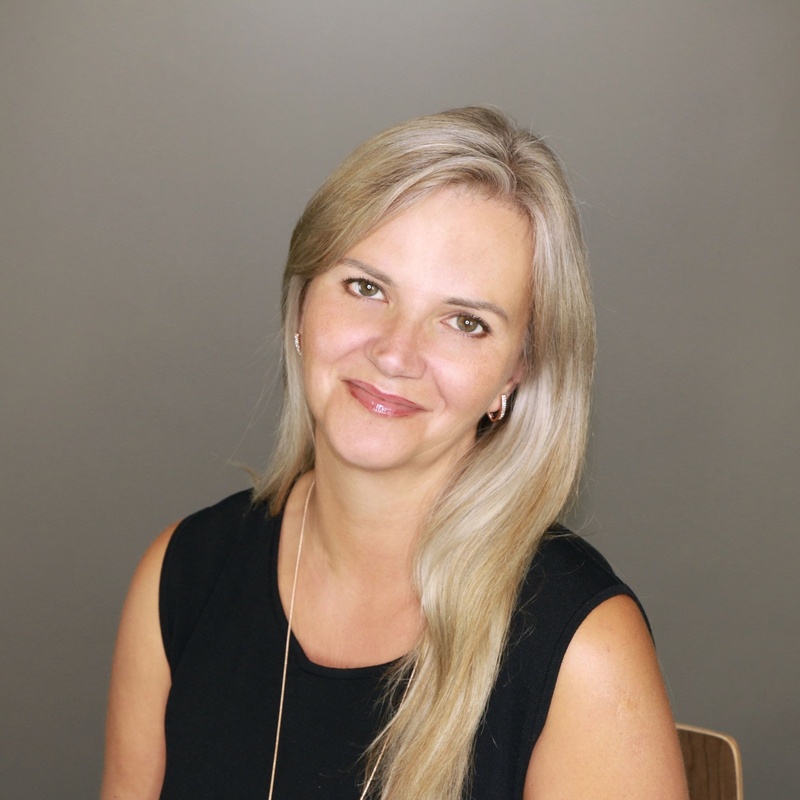 As the Operations Manager, she heads up project management, takes a key interest in quality assurance, and keeps us all on track. That's what makes her such a great writer, and an awesome member of the team.